Does Zoning Fit Into Our Future City Planning? Zoning, a concept just over a century old, is already becoming an outdated system by which the government regulates development and growth. Exceptions and loopholes within current zoning legislation prove that city planning is pushing a zoning transformation that reflects the current and future goals and needs of city building. To determine how zoning and land use needs to evolve we must first assess the intentions of future city building. Planners, architects, legislators and community activists have already begun establishing guidelines and ordinances that approach the goals of sustainability and livability. 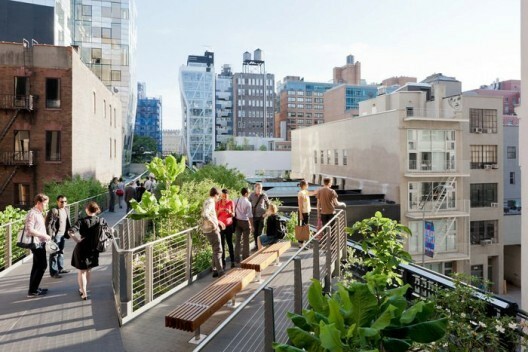 For example, the AIA has established Local Leaders: Healthier Communities through Design and has made a commitment to the Decade of Design: Global Solutions Challenge.New York City has come up with Active Design Guidelines: Promoting Physical Activity and Health in Design and its Zone Green initiative in regards to updating its zoning resolution. In addition, Philadelphia has augmented its zoning to include urban farms and community gardens and it is safe to assume that many other cities will follow this precedent. So what is it about current zoning codes that makes it so outdated? Follow us after the break for more. Zoning Codes as they exist today are inherently inflexible, rigid and predetermined. They outline not only districts where certain types of use may be developed, but also restrict heights, setbacks, yard widths, parking spaces, balconies, window sizes, roof shapes, porches and front yard landscaping. In the most basic terms, the Zoning Code describes the box within which a building must fit on a particular lot, optimizing it for its most utilitarian conception. But for all its utility, the zoning code has little regard for architectural quality or urban design. The first zoning codes came into effect in the late 19th and early 20th century. The goal of the code was a noble one: keep districts with disparate uses protected from one another for safety and public health. The mapping of a city in terms of zoning regulations created subdivisions based on land use, keeping incompatible uses apart such as residences and factories.